Feature creep. Featuritis. Feature bloat. Creeping featurism. Bloatware. These all refer to the same thing, and it isn’t good. 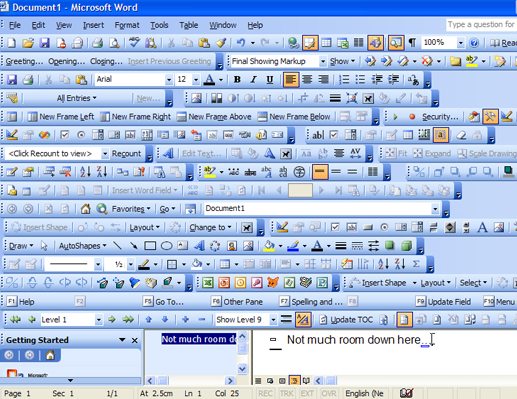 New York Times columnist David Pogue was one of the first people to publicly call attention to feature creep when he “famously demonstrated to a rapt audience at the 2006 TED conference what happened when he opened every possible toolbar in his Microsoft Word program—there was no room on the screen for the primary value-adding function of composing a simple text document,” explains Matthew May. We get it. Feature creep isn’t a malevolent act against your customers. But by shoving numerous features into your product you risk turning your product into something that does many things marginally well rather than accomplishing a few core tasks exceptionally well. People can get over not having a feature if your product is solid, but cannot get over having buggy or poorly thought out features. Focus on quality over quantity. As you grow, you can add well thought out features that are easy to use, but don’t jump the gun just to satisfy a customer or two. 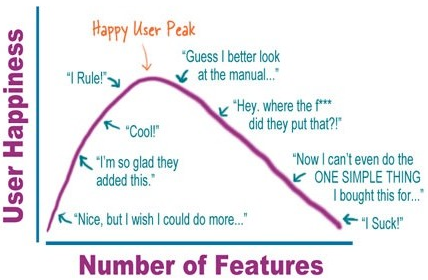 While determining which features will be developed and saying “no” to avoid feature creep falls primarily to product managers it is important for everyone involved with a product (from development to marketing) to understand feature creep and its consequences. 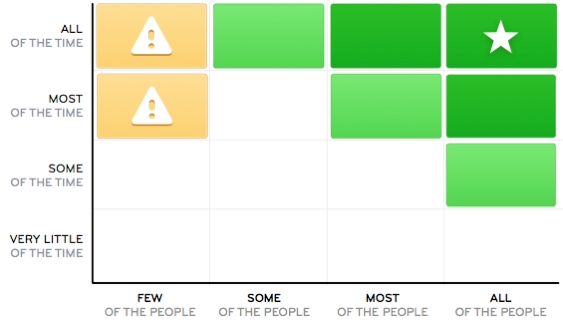 Every feature added means more potential bugs and utilizing more of your company’s resources. Resources are not just the front-end development time, but also promotion and lifelong support (via development and customer support staff). “Every change you implement requires building, testing, and iterating…and then, launching, promoting and supporting it,” explains SaaS copywriter Pawel Grabowski. All those resources and additional support increase costs, and expenses are often substantially more than your initial estimates. Ever heard of the saying “having too much of a good thing?” Feature fatigue is a phrase coined in a 2009 study published in the Journal of Marketing Research and it occurs when your overabundance of features becomes “too much of a good thing” for your customers. “Too many features can encourage initial purchase but damage satisfaction and reduce repurchase probabilities, leading to lower customer lifetime values,” according to Grabowski. Feature-heavy products often include complicated user interfaces or user experiences, neither of which are very user-friendly. Another lesson from feature fatigue is that often customers don’t actually enjoy having tons of features. If we all agree feature creep is bad, why does it still continue to happen? While not an all-inclusive list, below are some of the common reasons features are requested and reasons requests become feature creep. “Lots of” customers are requesting it. What does “lots of” really mean? Now that we’ve looked at the common reasons feature creep can happen, let’s look at the most important aspect of avoiding feature creep: saying no. When analyzing feature requests, use the points below to help determine when you should say “no” to new features. Always go back to your original product vision and purpose. “Product vision guides everyone involved in developing a product toward making it a success. It’s the goal you strive for, the reason why you created your product. So every time you face a new idea, run it by your product vision,” says Grabowski. “It’s all about striking the right balance between features and functionality and maintaining a laser-focus on your product vision,” advises Heather McCloskey, Inbound & Content Marketing Manager at UserVoice. This is similar to the information above, but on a more macro level. “Set an overarching product goal…keep your high-level goal at the forefront, and make sure each feature supports that goal,” suggests Ellen Chisa, VP of Product at Lola Travel. “Sure, it might take an hour to build a feature in an ideal test case. But when you try and integrate that into your existing platform, work on the UI & UX, get your designers involved, write some tests, and eventually push the code, you’ll probably have spent the whole day. Is the feature worth it? Maybe. But you need to be realistic about how long it’ll take,” points out Intercom co-founder Des Traynor. You can look at usage data to determine which features are being used and those getting the most usage. What features are increasing user engagement? As we discussed in the previous section, it is important to look at why customers are making the requests that they are. Dig deeper into the underlying issues. “Sometimes feature requests are actually usability issues in disguise,” offers InVision’s Jennifer Aldrich. It is also critical to clearly distinguish between customers’ needs and wants. “Focus first on customer needs, and second on wants, chances are when you’ve served your customers’ needs, they will no longer have so many wants,” says McCloskey. This point ties in to the one above. Be honest about how user-friendly the feature will be. How much effort will it take customers to use the new feature? If it is more effort than the reward, it isn’t likely to be utilized — even if it fills a need. “Adding a whole new workflow to your product should be a rare occurrence. The majority of your time should be invested in improving, complementing, or innovating upon existing ones, and for any given project you should know which of these you are doing,” explains Traynor. 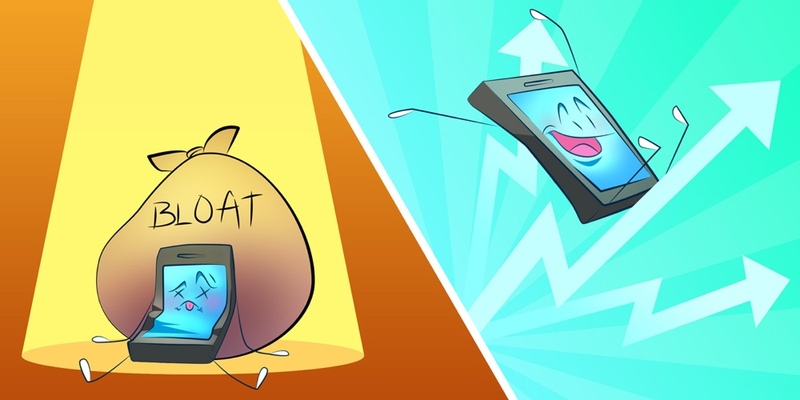 A new feature is especially tempting if the impact is likely to be increased revenue. But, be careful here. The resulting revenue is something that should be considered, but not be the sole determining factor. Some features may increase revenue short-term, but derail the original product vision. This point often relates back to a potential customer’s request for a new feature. First, a customer shouldn’t take precedent over the overall value of your product. Second, the extra value the requested feature will bring to one customer often takes away value from existing customers. 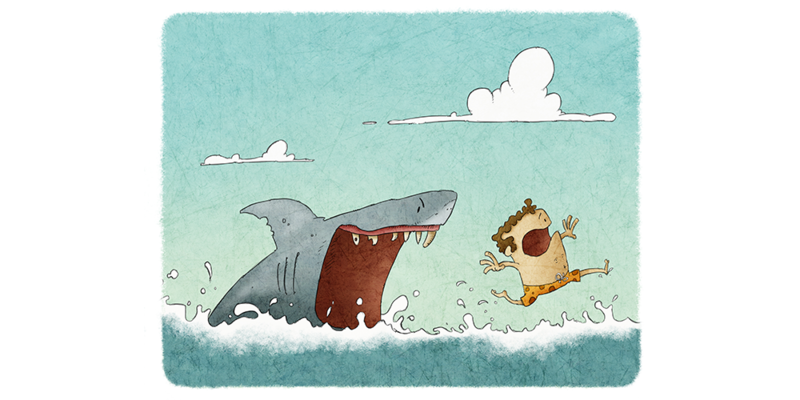 Remember, your current paying customers keep your company afloat. “A good sign that a feature isn’t well scoped is when it lacks specifics, e.g. 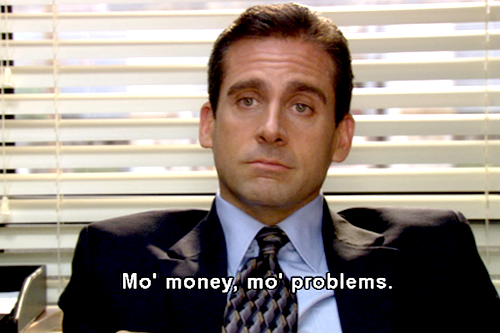 ‘Make it work for bigger companies’, or that it’s feature based e.g. ‘reports’, as opposed to job-based e.g. ‘Let sales managers see their team performance’,” explains Traynor. When reviewing a feature request, be honest about its scope to avoid future issues. 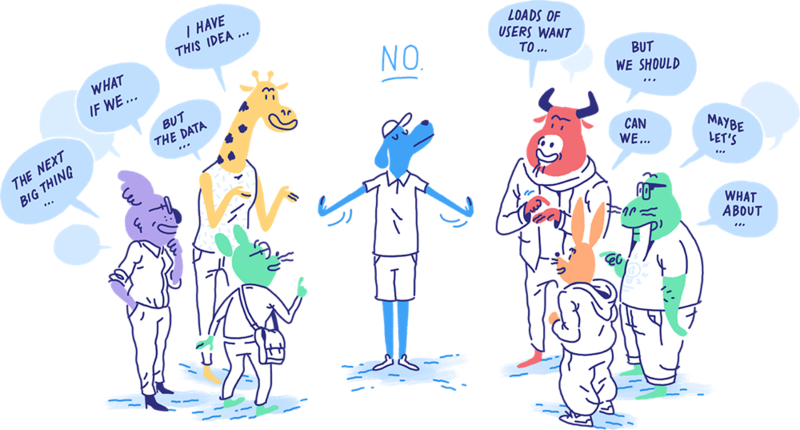 For great examples of exactly how to phrase your “no” Intercom has an interactive infographic, “Put an end to feature creep,” that’s worth checking out. 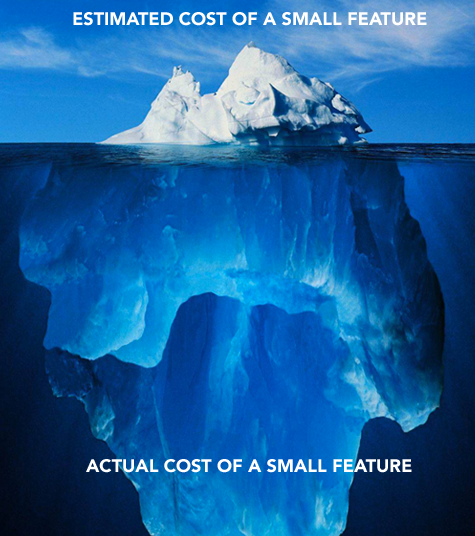 The infographic at the end of this post summarizes the points you should consider when evaluating feature requests and determining if the feature adds value to the original product vision or would be more likely to contribute to feature creep. This topic deserves it’s own blog, so we won’t dive too deep into it now. With that said, it’s worth mentioning the importance of killing features that no longer make sense or provide value. “One of the hardest parts of managing feature creep is tearing out features after you’ve built them and they haven’t worked,” admits entrepreneur Jake Peters. Groove went through the difficult decision to remove their LiveChat feature and they detail the process in their blog, “Why We Killed One of Our Biggest Features to Grow Our Business.” It’s a fantastic read and one we highly recommend you check out. Regularly auditing your product’s features and killing those that aren’t providing value is an important aspect of keeping feature creep at bay. The act of killing a feature can be difficult, but remind yourself there is a reason for your decision (and make sure you know that reason). One of a product manager’s hardest jobs is determining which new features to develop and which requests to pass on. It is never easy to think (or say), “Yes, that is a great idea, but we’re not going to do it.” Saying “no,” especially to a boss or investor, can be difficult but it is necessary for the overall success of your product. How does your company handle feature requests? 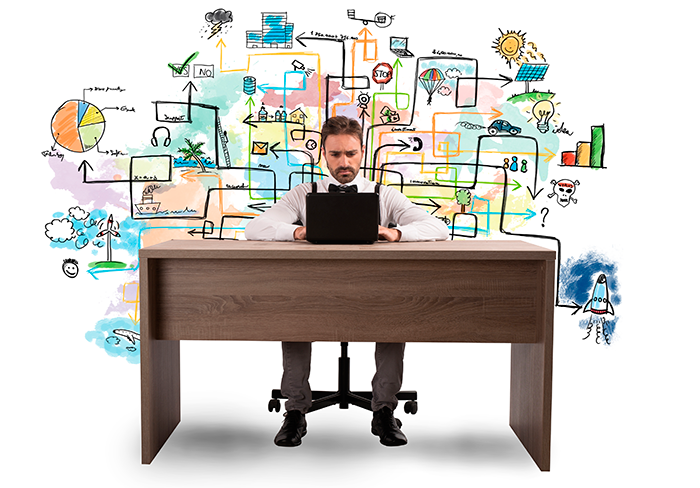 Has it allowed you to be successful in avoiding feature creep? Please share your tips and experiences in the comments below.